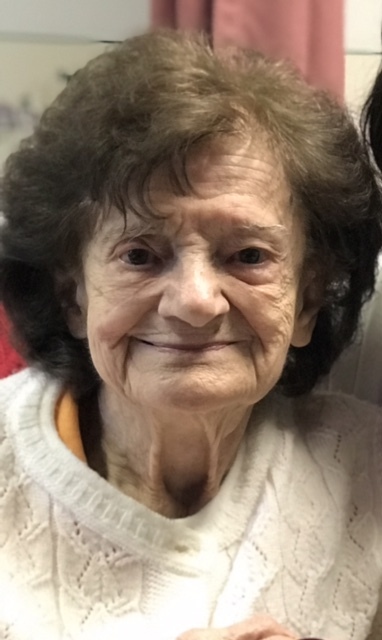 Louise E. Micucci, 99, of Steubenville died Thursday, April 4, 2019 at Country Club Manor. She was born October 28, 1919 in Steubenville. She is the daughter of the late Patsy and Carmella Scoriugi Splenda. She is also preceded in death by her husband Alfred J. Sr.; brothers Chester, Emmett, James, Joseph Splenda and sister Mary Paterra. Louise was a member of Triumph of the Cross Parish. She loved cooking and spending time with her family. Surviving are two sons Dominic (Cindy) Micucci of Follansbee and Alfred Micucci of Steubenville; daughter Patricia “Patty” Micucci of Follansbee; one sister Sophie Splenda of Steubenville; daughter-in-law Rosalie Micucci; three grandchildren Marc, Chad and Chelsea; three great grandchildren Carter, Corinne and Giada. Calling hours will be Sunday from 2-6 pm at the Mosti Funeral Home, Sunset Chapel 4435 Sunset Blvd., Steubenville. A funeral liturgy with Mass will be celebrated Monday at 11:30 am at Holy Rosary Catholic Church, Fr. Tom Nau will celebrate. Burial will follow in Mt. Calvary Cemetery. A vigil service will be held Sunday at 2 pm.